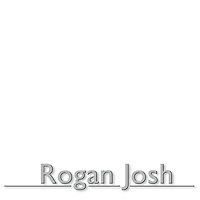 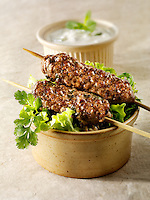 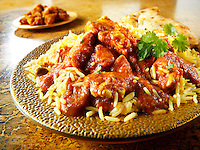 Indian Food recipe dishes pictures, photos. 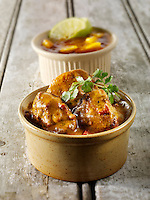 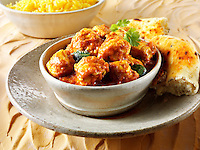 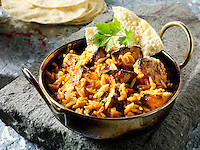 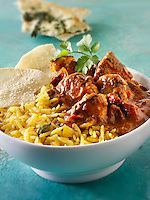 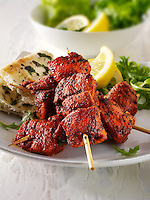 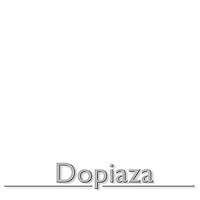 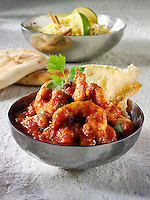 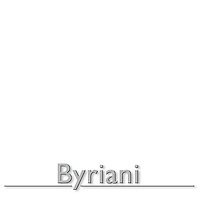 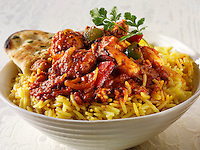 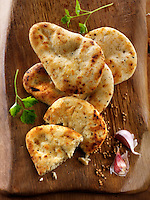 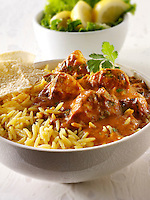 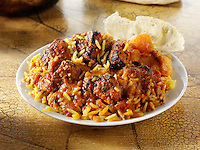 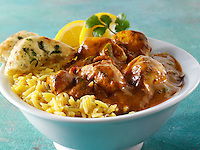 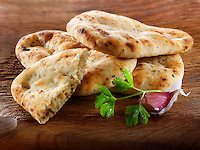 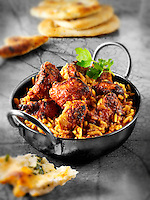 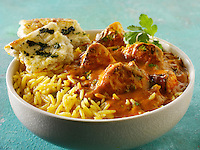 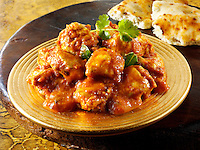 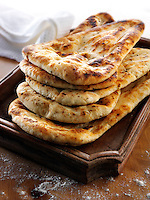 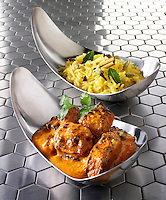 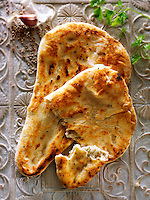 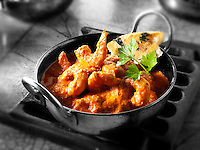 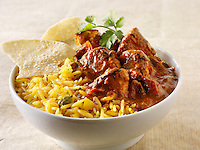 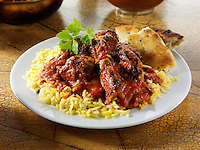 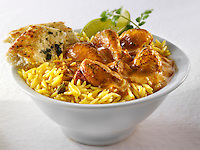 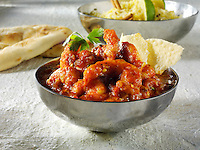 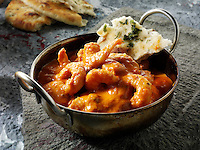 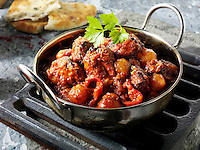 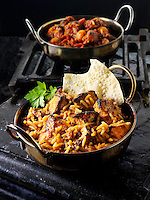 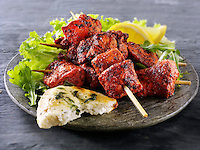 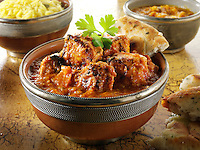 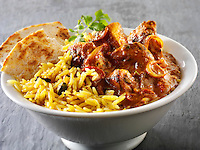 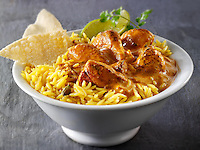 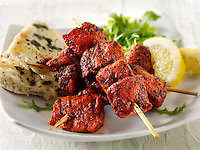 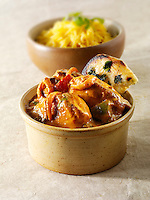 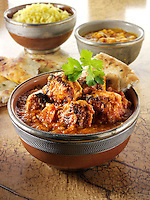 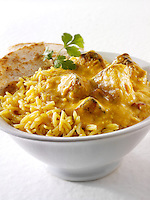 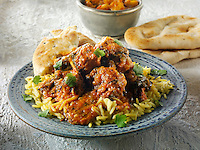 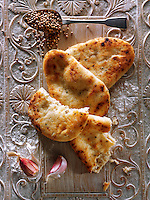 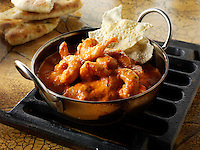 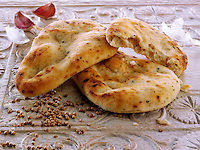 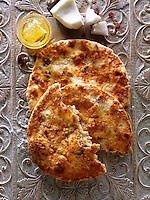 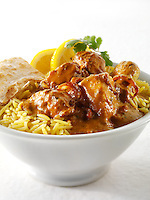 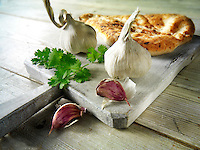 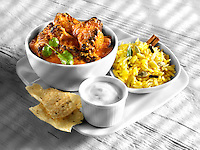 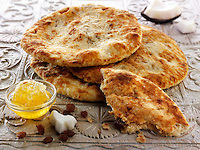 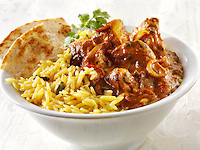 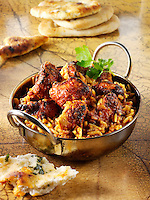 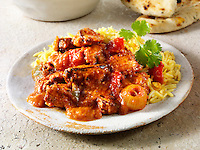 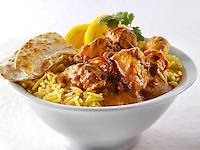 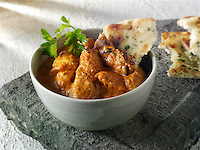 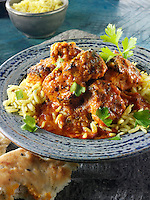 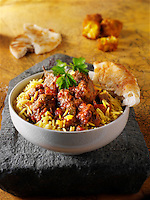 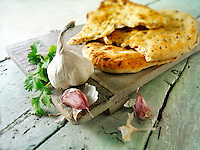 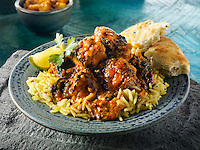 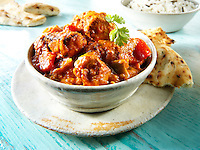 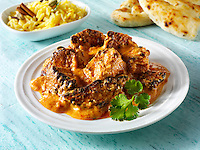 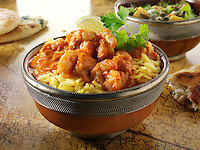 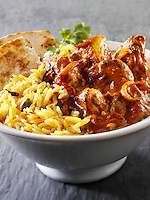 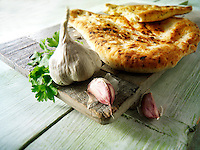 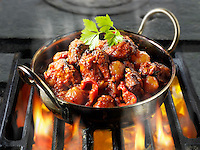 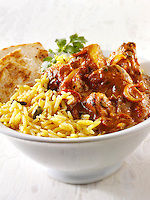 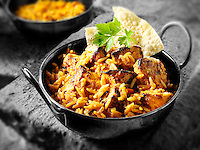 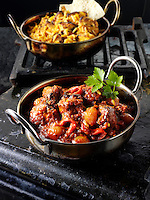 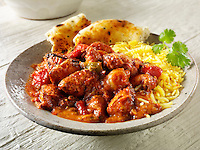 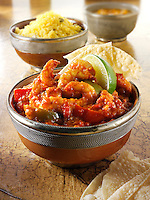 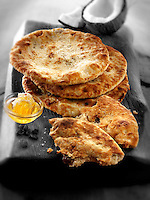 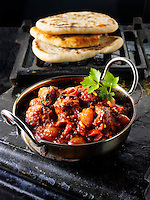 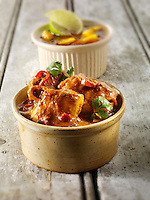 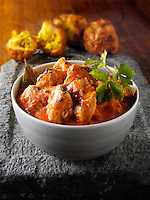 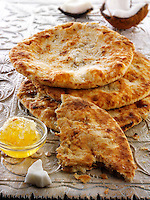 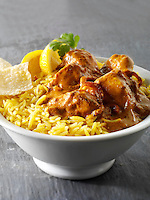 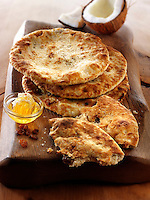 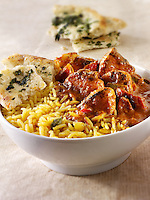 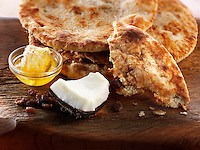 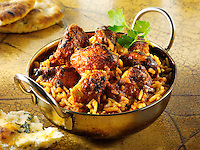 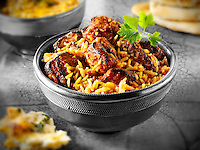 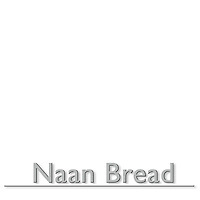 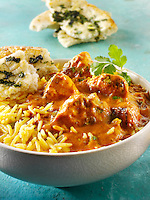 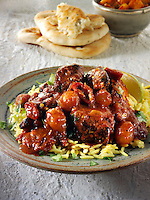 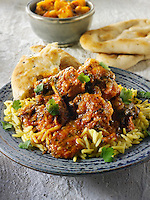 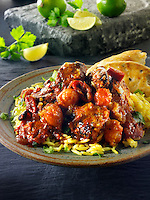 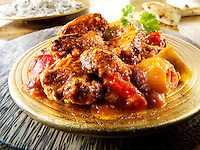 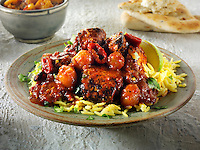 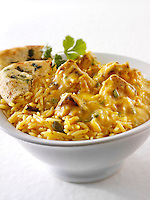 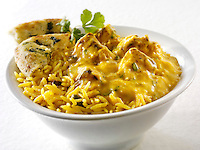 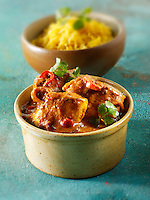 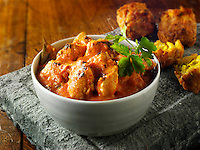 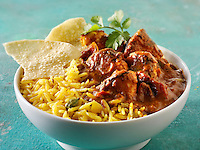 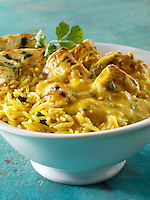 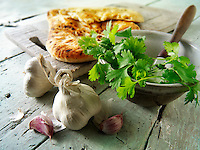 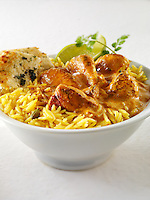 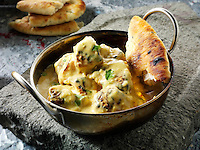 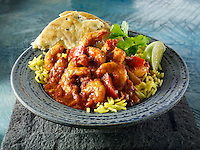 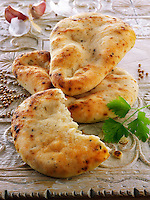 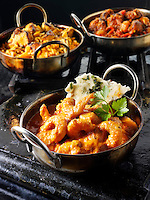 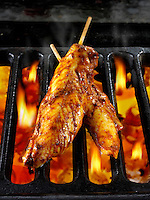 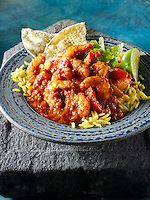 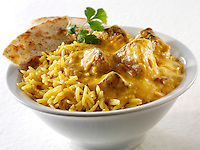 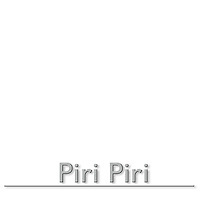 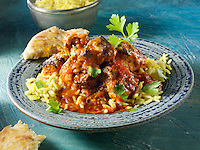 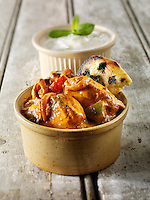 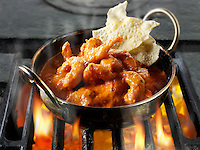 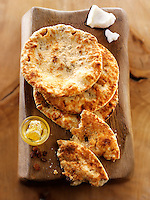 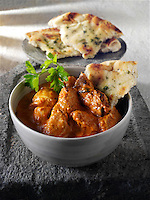 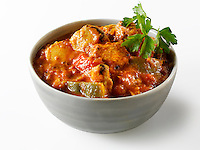 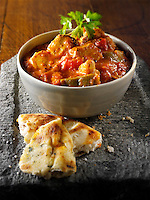 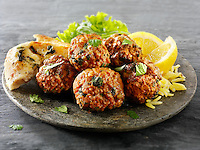 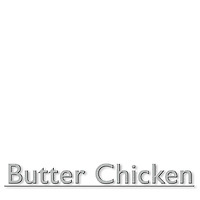 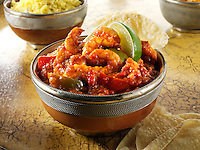 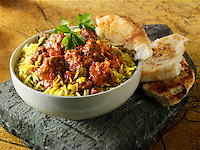 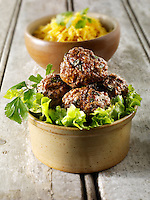 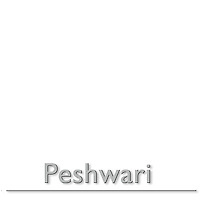 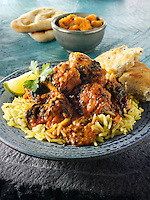 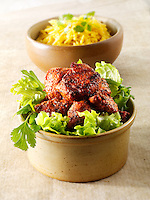 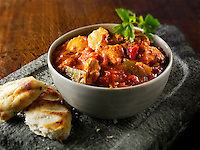 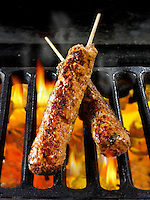 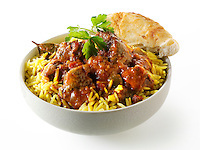 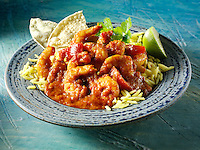 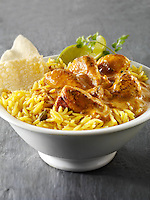 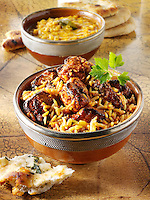 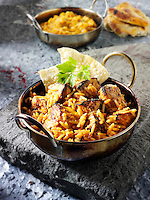 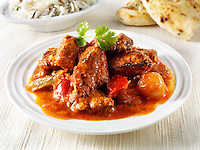 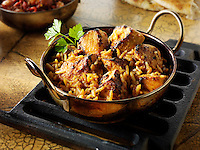 Images of Byriani, Jalfezi, Korma, Piri Piri Indian curries and many more popular Indian dishes. 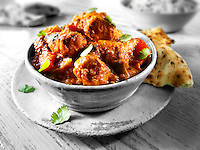 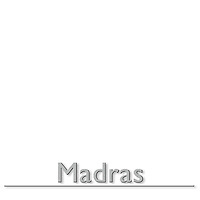 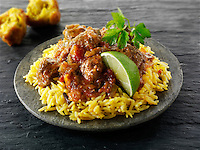 Indian food and curries are characterized by the use of various spices, herbs and other vegetables grown in India and also for the widespread practice of vegetarianism across many sections of its society. 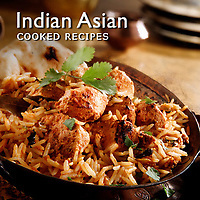 Each family of Indian cuisine is characterized by a wide assortment of dishes and Indian cooking techniques. 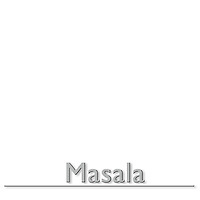 As a consequence, it varies from region to region, reflecting the varied demographics of the ethnically diverse Indian subcontinent. 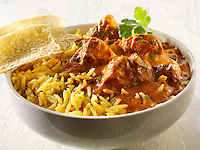 In many cases, Indian food and curry have become a marker of religious and social identity, with varying taboos and preferences (for instance, a segment of the Jain population will not consume any roots or subterranean vegetables. 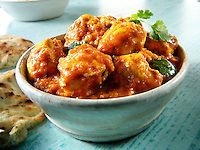 One strong influence over Indian foods is the longs tan ding vegetarianism within sections of India's Hindu, Buddhist and Jain communities. 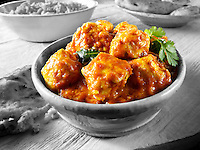 People who follow a strict vegetarian diet make up 20-42% of the population in India, while less than 30% are regular meat-eaters. 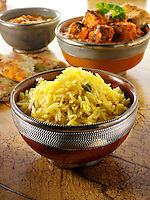 As a land that has experienced extensive immigration and intermingling through many millennia, Indian food has benefited from numerous food influences. 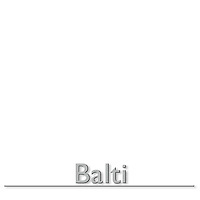 The diverse climate in the region, ranging from deep tropical to alpine. 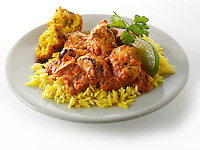 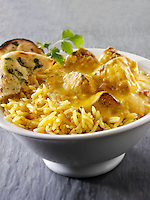 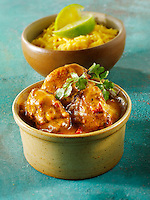 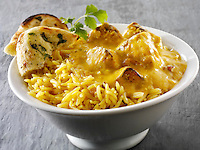 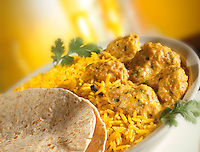 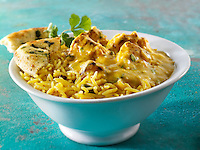 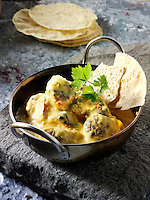 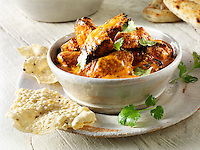 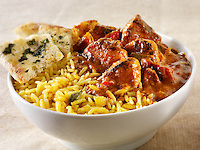 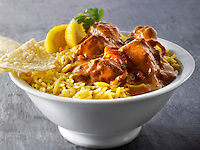 Indian food and curry is one of the most popular cuisines across the globe. 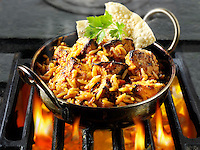 The cuisine is popular not only among the large Indian community but also among the mainstream population of North America and Europe. 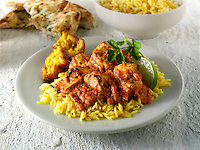 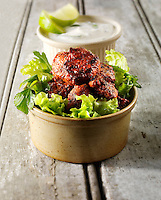 In 2003, there were as many as 10,000 restaurants serving Indian cuisine in England and Wales alone. According to Britain's Food Standards Agency, the Indian food industry in the United Kingdom is worth £3.2 billion, accounts for two-thirds of all eating out and serves about 2.5 million British customers every week.